Evan S. Connell, Jr. (August 17, 1924- January 10, 2013) was an American novelist, poet, and short story writer. His writing covered a variety of genres, although he published most frequently in fiction. Connell was born in Kansas City, Missouri. He graduated from Southwest High School in Kansas City in 1941, and started undergraduate work at Darthmouth College. He joined the Navy in 1943, where he became a pilot. After World War II he graduated from the University of Kansas in 1947, with a B.A. in English. He then studied creative writing at Columbia University in New York and Stanford University in California. In 2009, Connell was nominated for the Man Booker International Prize, for lifetime achievement. 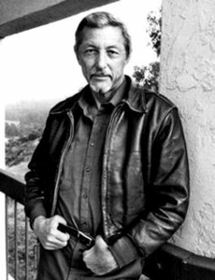 On April 23, 2010, he was awarded a Los Angeles Times Book Prize: The Robert Kirsch Award, for "a living author with a substanial connection to the American west, whose contribution to American letters deserves special recognition." Connell was found dead on January 10, 2013, at an assisted-living facility in Santa Fe, New Mexico. Her first name was India-she was never able to get used to it. It seemed to her that her parents must have been thinking of someone else when they named her. Or were they hoping for another sort of daughter? As a child she was often on the point of inquiring, but time passed, and she never did. Now and then while she was growing up the idea came to her that she could get along very nicely without a husband, and, to the distress of her mother and father, this idea prevailed for a number of years after her education had been completed. But there came a summer evening and a young lawyer named Walter Bridge: very tall and dignified, red-haired, with a grimly determined, intelligent face, and rather stoop-shouldered so that even when he stood erect his coat hung lower in the front than in the back. She had known him for several years without finding him remarkable in any way, but on this summer evening, on the porch of her parents' home, she toyed with a sprig of mint and looked at him attentively while pretending to listen to what he said. Here and there on the floor lay bits of what looked like chalk but which were remains of a little plaster cast of Michelangelo's Bound Slave. The fragments suggested that the statuette had not fallen but had been thrown to the floor. 1984 Biography of "Custer, Son of the Morning Star," was a bestseller and was soon adapted as a television film/miniseries in 1991. The film won four Emmy Awards. The pair of novels (Mr. Bridge and Mrs. Bridge) were adapted as a 1990 Merchant-Ivory motion picture, Mr. and Mrs. Bridge, starring Paul Newman and Joanne Woodward. Evan S. Connell, the Kansas City native who did more than any writer to shape the city’s literary image, died Wednesday at his home in Santa Fe, N.M. He was 88. His sister, Barbara Zimmermann, a longtime area resident now living in Houston, confirmed Connell’s death Thursday morning. Connell was author of several towering works, most notably “Son of the Morning Star,” a widely admired, bestselling portrait of George Armstrong Custer and the massacre at Little Big Horn. But in Kansas City he was best known for his masterly pair of minimalist novels, “Mrs. Bridge” and “Mr. Bridge.” Published in 1959 and 1969, respectively, the books depicted the lives of a well-to-do but emotionally bereft Kansas City family.